Guys, sorry that it's been awhile since I've written a post (though I'm sure everyone is used to it by now ha ha). Work has been totally turnt up the last 2-3 weeks which is great, grand and wonderful overall, it's just a big adjustment since I doubled my workload so I'm trying to balance things. I feel like I don't have time to blog or to work on my music project, both of which are important to me so I'm stressing about it. I've been a bit overwhelmed lately and feeling like I bit off more than I can chew. Ultimately it's a good thing to be out of my comfort zone and to push myself, I've just got to force myself to get organized so I can fit in everything in my life. ANYWAYS, I thought I'd just do some quick updates with photos! 1. It's cherry blossom season in Oregon! 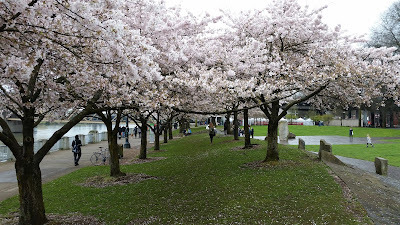 Despite the crappy weather, we got out this weekend and enjoyed the cherry blossoms that were blooming alongside the riverfront in Portland. It seems all of Portland had the same idea, it was crazy busy! We also creeped on a couple who were getting their pictures taken under the trees. The bride had the most beautiful dress! I'm sure their pictures came out really amazing. Going without makeup is SUPER weird but I'm getting used to it slowly. Shockingly, the world has not crumbled nor has anyone said anything to me about it. I have to admit that it's nice to have one less thing to do in the mornings, and it's also cut down on my skin routine at night since I'm not having to really work to get makeup off my face. 3. Molly turned 9 on Wednesday! 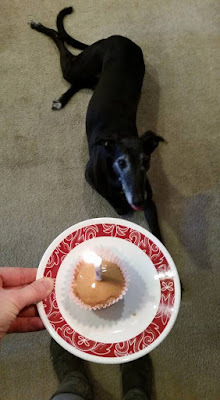 I can't believe how much time has passed, but we celebrated Molly turning 9 last Wednesday. 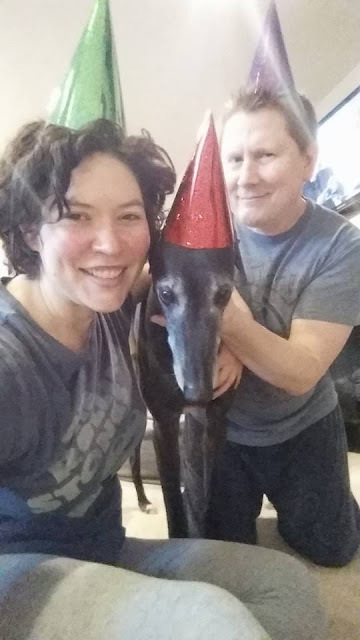 As is tradition we had a little "party" for her (really just a photo op with party hats) I made her little oatmeal banana cupcakes with melted peanut butter as the frosting. We sang to her, she jumped up and almost pushed a lit candle into my face, then she proceeded to swallow the cupcake whole and almost choke. You know, a basic evening at our house. So my highest set of dumbbells are a pair of 15 pounders, and I have slowly come to the point where I've outgrown 30 pounds for many of the exercises I do, especially lower body ones. I'm able to pretty easily do 30 pounds for certain upper body exercises too such as chest presses, closed rows and those types of things. While I'm not trying to turn into She-ra, I do want to push my strength capabilities a little. 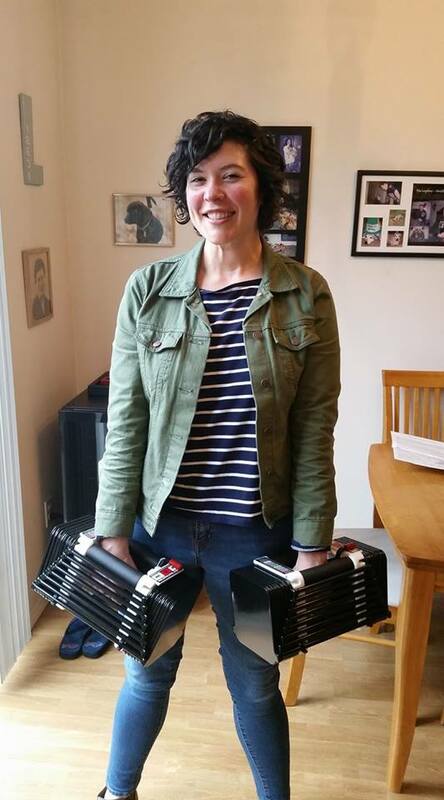 I started pricing out dumbbells and realized that if I am going to keep progressing that I might want to instead invest in some adjustable dumbbells, specifically Powerblocks. Powerblocks are not cheap, but ultimately continuing to buy weights up to 50 pounds was not only more expensive, but was going to cause an issue with space in our house. (It's already ridiculous!) I started saving up the money little by little to purchase the set I wanted that goes up to 50 pounds per hand, but it was definitely going to take me a bit to get them. Eric surprised me last week with an Amazon gift card for half the amount of the weights, basically telling me that he was proud of me, wanted to support me and wanted me to have the weights I wanted sooner. I was totally blown away by that, it came out of nowhere!! I was additionally excited because I'd already saved up half of what I needed to get my weights, so I was able to order them on the spot. They came in yesterday and I just about peed myself when we drove up to the house and saw them sitting on our stoop! They are even cooler in person than I'd imagined! I don't foresee wanting to lift heavier than this, so these weights are going to be the only ones I need for a very, very long time. I am so thankful that no matter what, Eric always has my back and supports me. Some men are weird about women who lift, so I'm happy to be with someone who not only supports me, but pushes me! Love everything about this post! Go Eric! And Happy birthday Molly! 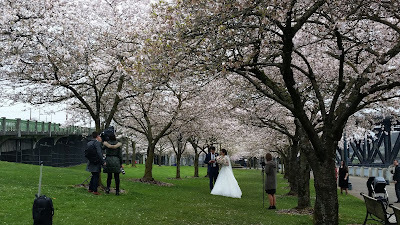 Those Cherry blossoms are BEAUTIFUL and so are you sans make up! YAY! Glad there has been so much good going on! 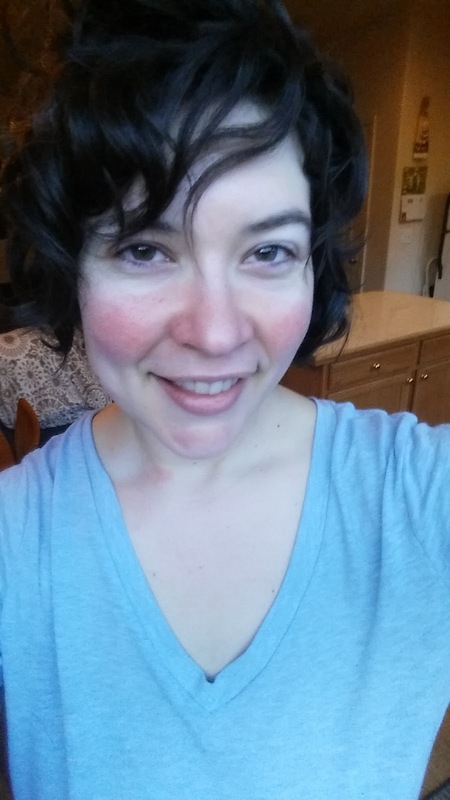 I forgot about the no foundation. You are FLAWLESS without it so good on you! Also, CALVES for DAYS in that last picture! Get it, lady!